Nevada Bugs and Butterflies | Bugs, butterflies, and love of the natural world..
Update: Our winter sale has closed! Thank you to everyone who ordered! Nevada Bugs & Butterflies is having a winter sale! 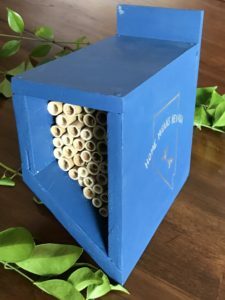 You can now purchase from a selection of items that are handmade by our board members, staff, and dedicated volunteers. 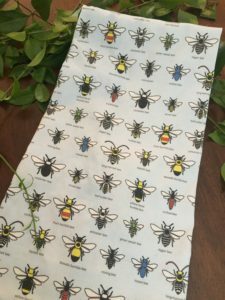 We currently have two different native bee houses, Nevada bee tea towels, and a selection of 15 Nevada bee ornaments. All items are limited quantity, so order today! 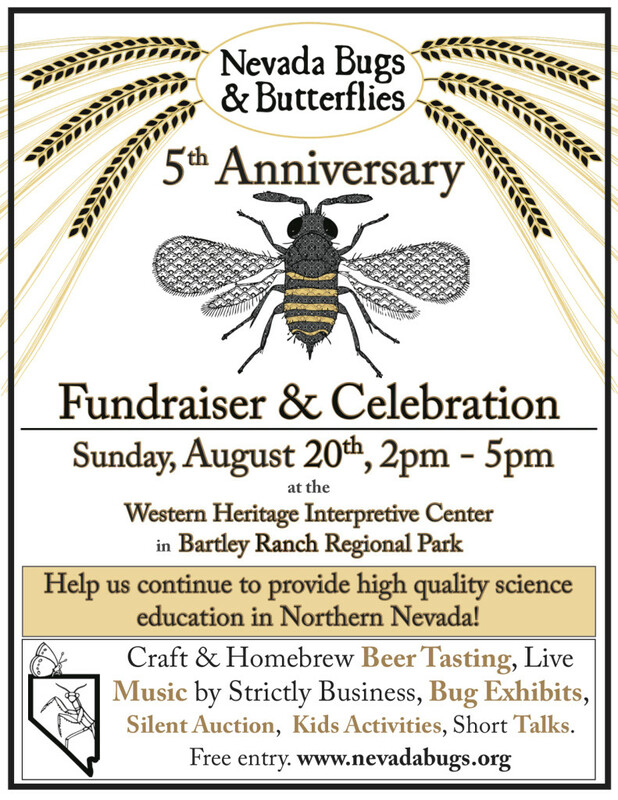 All proceeds go directly to Nevada Bugs & Butterflies, supporting our educational programs throughout the year. You can learn more and see them all on our winter sale website. 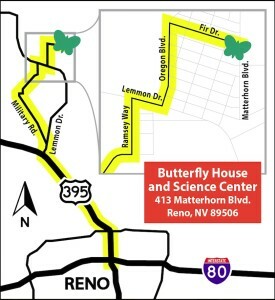 Fall is in the air, and as the season winds down for the insects, the board and staff of Nevada Bugs would just like to say THANK YOU for another amazing season, both at our science center and butterfly house and at our numerous outreach events in the northern Nevada area. 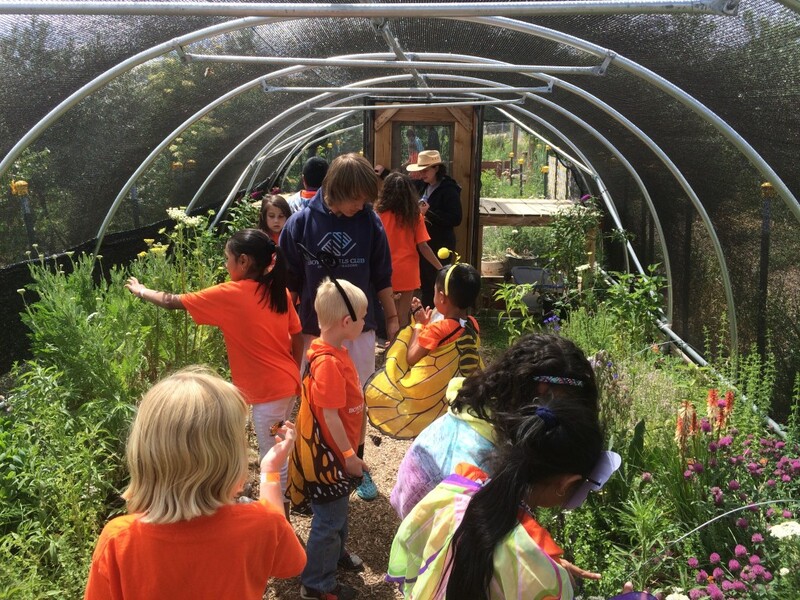 As always, we continue to meet new families and reach new groups, and we are so grateful for the chance to teach our community about the value of our region’s native plants and animals. In addition to that, we raised $3,500 at our recent 5th Anniversary Celebration and Fundraiser. So again, to our visitors, supporters, and insect lovers, we say thank you! Of course, 2017 isn’t done yet- our director Kevin Burls will be speaking at the Osher Lifelong Learning Institute on November 8th, at the Galena Creek Visitor Center on November 12th, and we hope to see you at one of those events. And as always, feel free to contact us with any questions for program requests! We are so excited for the 2017 season of our science center and butterfly house to begin! We are putting in the finishing touches for the various activities, and the garden is looking better than ever. As usual, we will be open Thursdays, Fridays, and Saturdays from 10am-3pm (except Saturday, July 1), and will close on Sept 9. We also just wanted to remind our visitors that there is a detour due to the 2016 winter flooding in Lemmon Valley. Lemmon Drive is closed at Military Rd., and the best route takes Military Rd. and then goes around the west side of the valley. Google and Apple Maps do not have adequate detour instructions at this time, so please follow the directions below when heading to our site this summer. If you need help finding us during our open hours, feel free to call us at 775-200-8774. We can’t wait to see everyone out there this summer! Take US-395 N to exit 74, then right on Lemmon Dr. for 0.9 mile. Turn left on Military Dr. for 2.5 miles. In quick succession, turn right on Echo Ave., left on Mt. Limbo St., and right on Bravo Ave./Albert Way. Total about 1 mile. Turn left on Ramsey Way for 0.7 miles. Turn right on Lemmon Dr. for 0.4 mile. Turn left on Oregon Blvd for 1 mile. Turn right on Fir Dr. for 0.9 miles. Park on Fir Dr. or by the big red workshop on Matterhorn Blvd. Please do not park on Matterhorn Blvd. 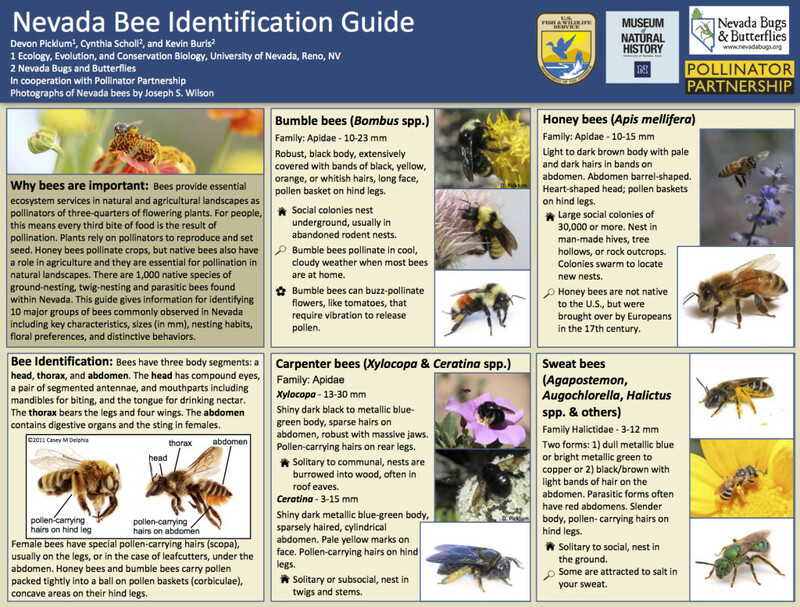 We are excited to be able to publish our Nevada Bee Identification Guide! 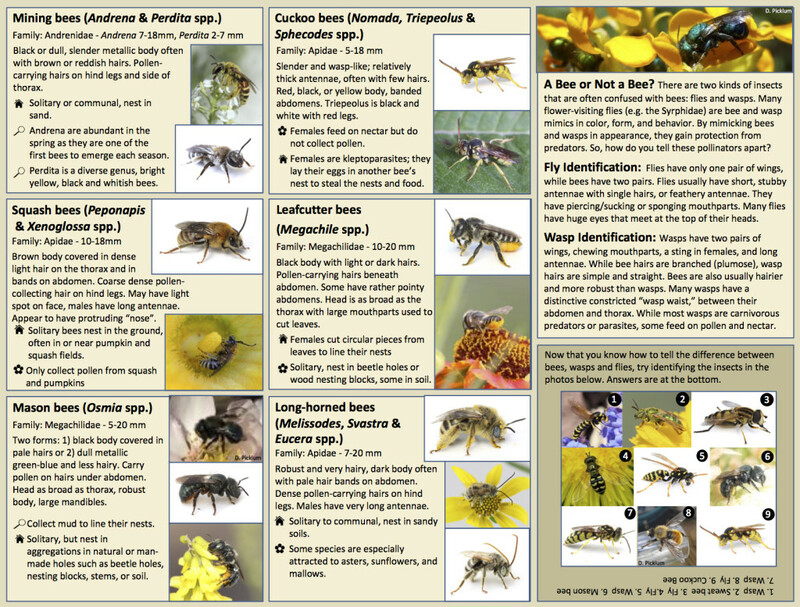 This handy 2-page reference can help you tell apart several of the most common types of native bees in our state, as well as how to tell bees from flies and wasps. Please feel free to download the pdf file using the link below; we also have copies available at our public outreach events and at the science center in the summer. 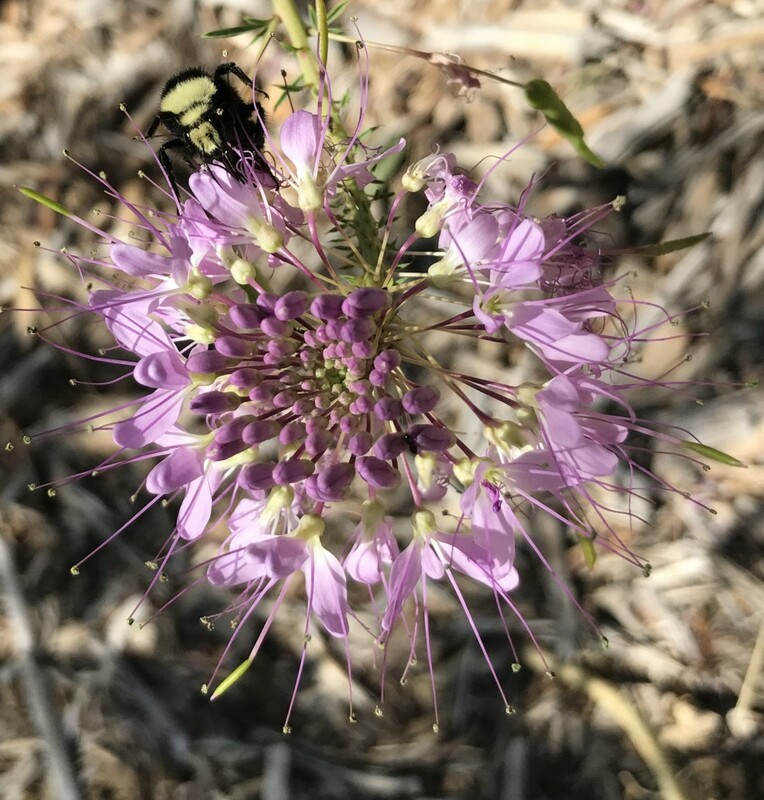 This guide was created in partnership with graduate students at the University of Nevada, Reno, the university’s Museum of Natural History, Nevada Fish and Wildlife, and the Pollinator Partnership. 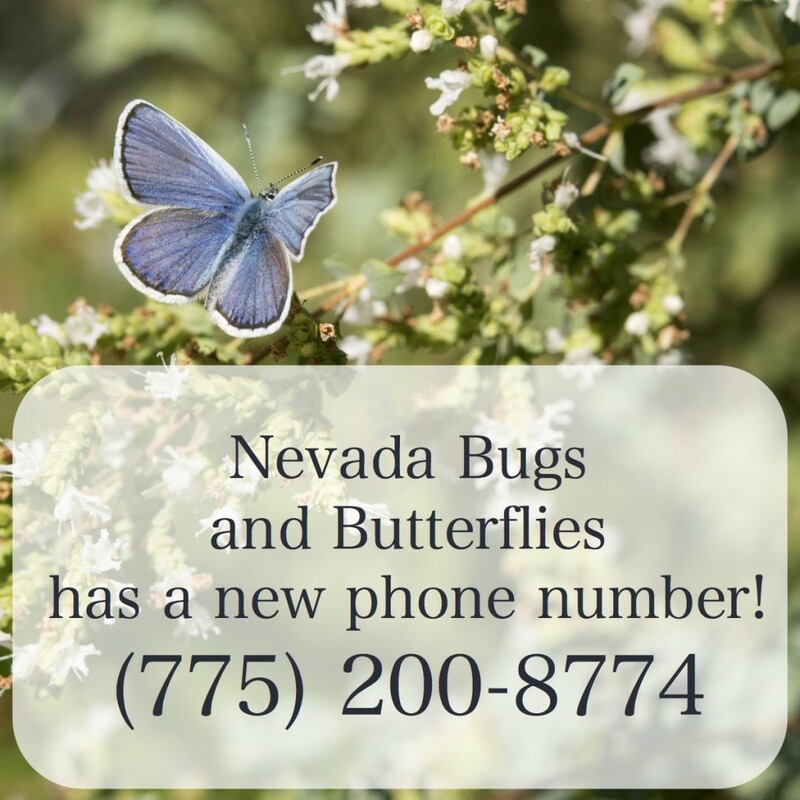 Just a quick note that Nevada Bugs and Butterflies has changed its phone number! As always, you can also always email us! Monarch tagging and end of the 2016 season! Cooler days and earlier nights can only mean one thing- fall is soon approaching, and with it the last two weekends of our 2016 summer season! That’s right, our last open days will be Sept. 15-17 and 22-24! If you haven’t made it out yet, these cooler days in mid-September are a great time to visit- the sunchokes are blooming with bright yellow flowers, bees are still busy collecting pollen and nectar, and skipper butterflies are flitting about the garden. And, for the 3rd year in a row, we’ll be hosting our monarch butterfly tag-and-release event during our open days on Sept 15-17. Monarch butterflies (Danaus plexippus) in the United States are famous for their migration each winter; monarchs east of the Rockies head to Mexico, while those west of the Rockies, including in Nevada, head to the coast of California. 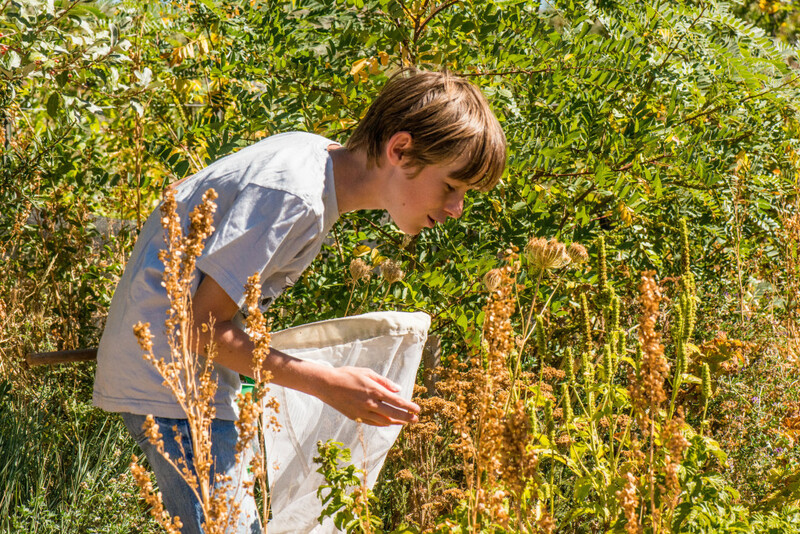 Our event is part of a citizen science project called the Southwest Monarch Study, aimed at understanding and conserving the monarch migration of the western United States. 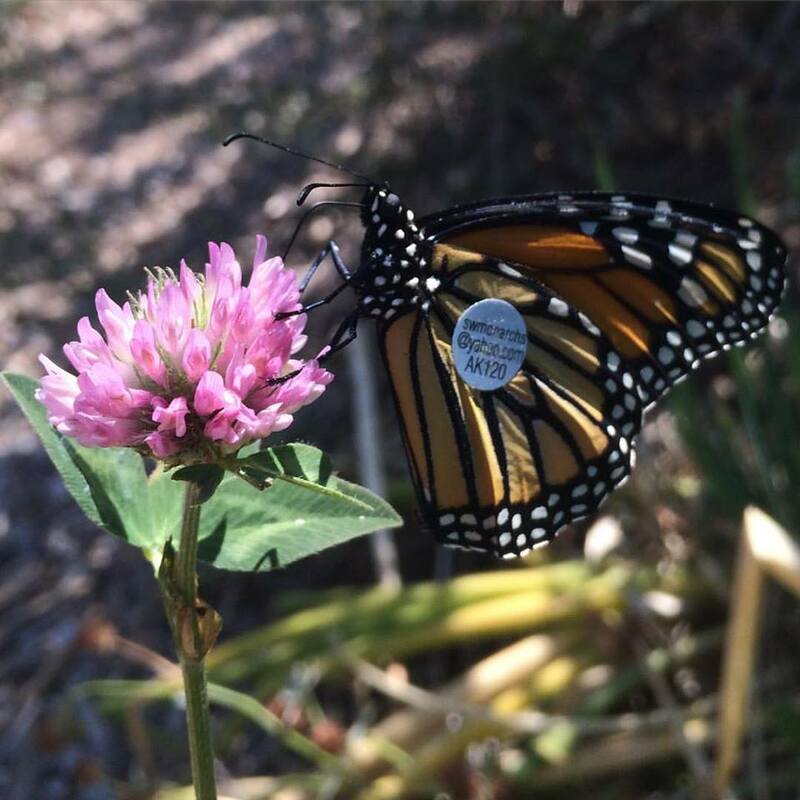 We’ll have a short introduction to monarch biology followed by tagging an adult monarch (using a small adhesive sticker like the one above) that is then released to complete its migration. These tags can then be recorded by observers in their overwintering habitat. This year our presentations will take place on the hour from 11-2 each of our three open days. We hope to see you out there in the next couple weeks to enjoy this beautiful late summer in Nevada!